Helping young men build character, understand the responsibilities of citizenship, and improve their physical fitness and survival skills for over 100 years now, the Boy Scouts of America organization is undoubtedly one of the most influential youth clubs in our country's history. There are a few different boy scout groups, such as Cub Scouts for grades 1-5, Boy Scouts for youth 11-17 years old, and 'Venturing', a coed program for youth 13-20. 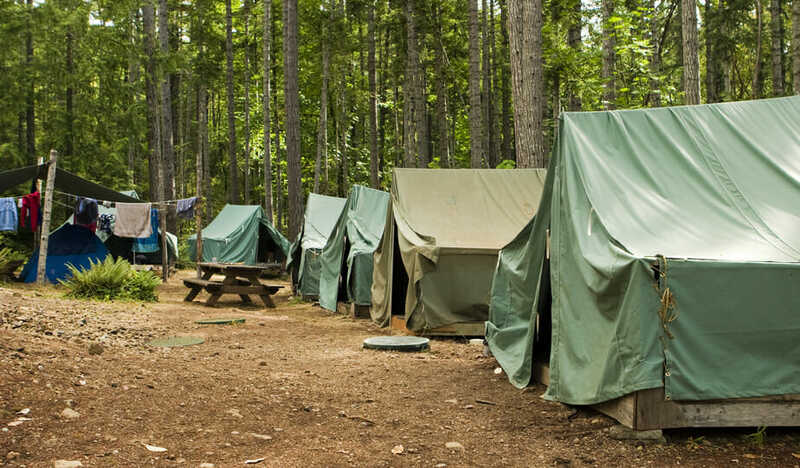 We have a huge range of options offered for student-friendly campsites across America, follow this link to see an example of our most popular sites! Visit your local manufacturing plants, small craft industries, or big business factories to get an up close and personal glimpse on how exactly some of our societies most utilized items are made. Example: Visit the Louisville Slugger Factory in Kentucky. Power plants, sewage plants, municipal offices, tv studios, police stations...the options that fall under the 'how your city runs' categories are abundant! Any of these visits will show your scouts the importance of the daily going-ons in your city. Example: Visit your local radio or police station! The argument can be made that this subject matter is one of the most important, as well as one of the most under-explored educational categories in today's world. Take your group to a local dairy farm, flour mill, bakery, butcher shop, or even candy shop and show them the inner workings of feeding America. Example: Head to Mapleside Farms in Cleveland. America is chock-full of educational and entertaining 'heritage' education spots, giving you almost endless options on places to take your group to help them learn about themselves further. Local museums, cultural landmarks, churches, art galleries, and historic homes all make for excellent heritage outings. Example: Beeline to DC and discover America's heritage at Capitol Hill or the Museum of National History. Check out our Field Trip Ideas for Girl Scouts blog, as well!